After waking up in a strange place, John Mustache, a tough officer must make a strange agreement with the Grim Reaper and help him rescue five relics of power in the hands of creatures from hell. The game features a retro atmosphere and combines shooter and exploration styles on a wild adventure with mythological creatures like Hellhounds, Harpies, Devils and others. 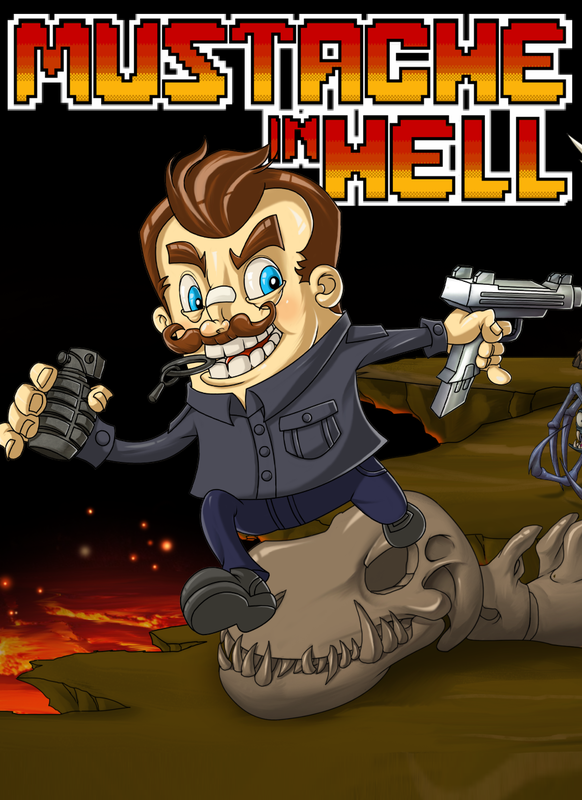 To promote Mustache in Hell and grow its popularity (top games), use the embed code provided on your homepage, blog, forums and elsewhere you desire. Or try our widget. Armored Squad - is a cell-shaded team shooter with Mechs, Robots and Tanks for PC, IOS and Android. We call it "Team Fortress with robots". AQP City, The white City is an Open World game with a great story and gameplay. Visit the beachs, deserts, rivers, mountains and the city without limits.